The Shire of Chapman Valley Coastal Management Strategy & Action Plan addresses the section of coastline from Drummond Cove at the southern boundary of the Shire to Woolawar Gully within the Shire of Northampton. This section of coast is primarily used for low-key recreational pursuits such as camping, water sports and off-road driving. There is some residential development located adjacent to the southern boundary and land zoned for future residential development located between Drummond Cove and Buller River. The section of coastline between Buller River and Coronation Beach Road has been identified for the Oakajee Port and industrial development. 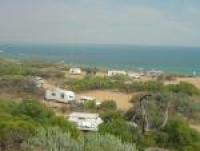 The Shire of Chapman Valley, together with the Shire of Northampton identified the need to prepare a Coastal Management Strategy to guide future coastal uses along the coast between Drummond Cove and Woolawar Gully in 2007. To ensure its continuing relevance to land use planning objectives the Strategy was reviewed in 2016. To manage the unique recreational resources of the study area taking into account risk from coastal hazards and sea level rise whilst recognising that a section of this coast is identified for port and industrial land uses. This vision was developed through consideration of existing and emerging issues as well as recent planning reports and new State and local government policy guidance. The Shire of Chapman Valley Coastal Management Strategy & Action Plan is available for viewing below.